It seems that one of my all time favourite apps Isolator has been abandoned. While it still works, it hasn't been updated in forever, could use some customization features and it isn't ready for Yosemite. Does anyone know of a great replacement for it, one that will have Yosemite support and be maintained onward? I use this app every day, I've donated to the developer a few times and sent emails asking about it but to no avail, no responses or updates to the app. I wish they would just make it open source on github or something for someone else to pick it up if they don't want to continue with it. Edit: Only just saw this comment by the OP. I will leave this answer up in case anyone finds it useful. Try HazeOver. It does what Isolator did: Puts a dimmable layer over the screen except for the current window (or all windows of the current app). It is a paid app, available on the Mac App Store. It has been updated for El Capitan and works for me without issues. The developer is responsive and has implemented a feature I personally requested. You can activate HazeOver via the menu bar, a keyboard shortcut or AppleScript. I personally use a simple Alfred workflow to set the dim intensity. The Concentrate is the closest to the Insulator. It is not free but you can downland a 60 hour trial. There is no guarantee, but since it i a paid app it is probably going to be compatible with Yosemite. The Focus Time is probably better option since it requires OS 10.9 or later and it cost less. Before I used Isolator, I used LiteSwitch X. It doesn't have an opacity filter but supports Single App Mode (hide all other apps when switching with Cmd+Tab) which is the reason I use one app or the other. It can also replace OS X's default application switcher. 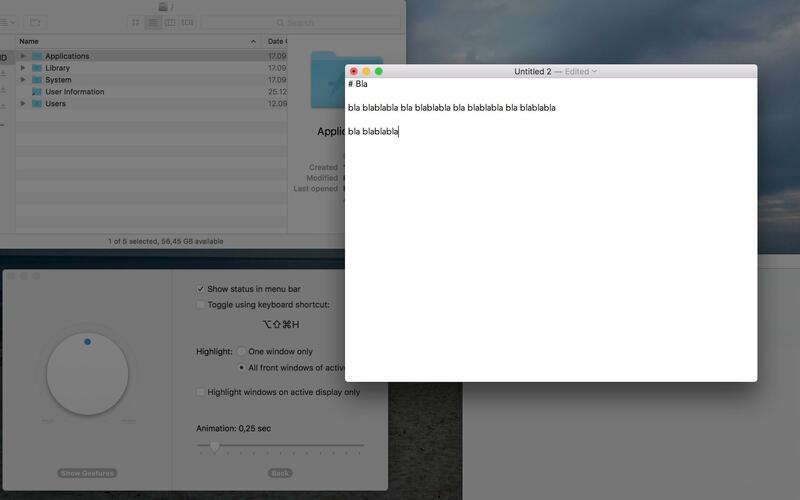 LiteSwitch was abandonware but was recently updated to work on 10.9+. If you use a plain wallpaper (dark, single color), maybe Single App Mode would be sufficient. I might switch back to it since Isolator has a minor bug or two. Edit: Since I disabled App Nap in Isolator's bundle (Finder > Get Info), my system didn't freeze occasionally anymore, when switching between apps with Cmd + Tab, with the option to hide all other windows when switching apps, in Isolator's preferences. Other suggestions: Hocus Focus, FocusMask or Focus. Isolator source code is being hosted here. Not the answer you're looking for? Browse other questions tagged macos mac applications menu-bar . 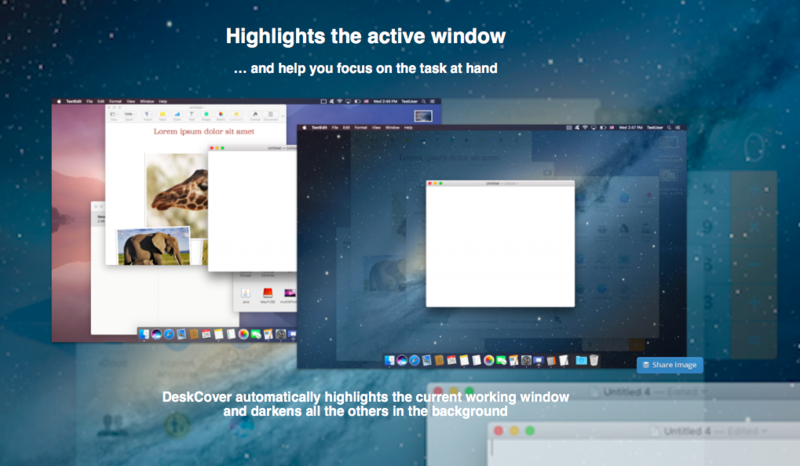 Replacement for ASM's Classic Window Mode in Mavericks? How to activate System Text-Replacement for Atom? What's a good replacement for MenuMeters on the newest macOS?